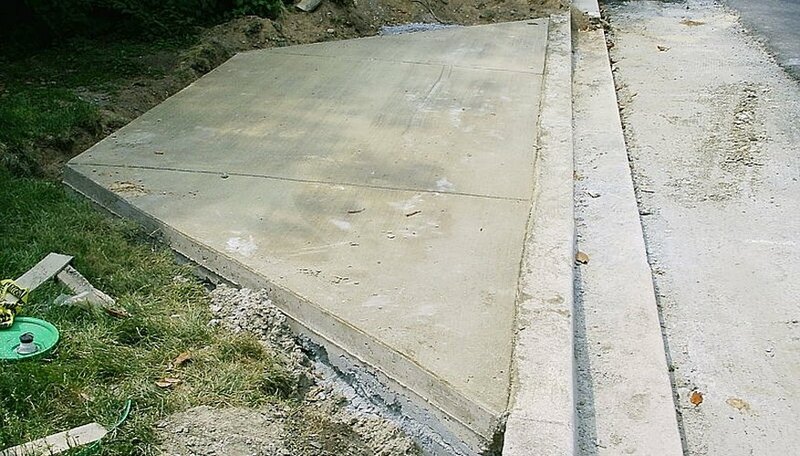 Water sitting on the surface of the concrete driveway for a long time may dissolve the calcium hydroxide in the concrete. When it has been dissolved, it can combine with the carbon dioxide in the air. As the water evaporates, what is left behind is calcium carbonate. (See Reference 1.) This appears as white streaks on the concrete. It is not soluble in water, and removing it can be difficult, but the process of weathering will change the calcium carbonate to water soluble calcium hydrogencarbonate.